Diet and Lifestyle: Tips, Info and What to be Aware of. Where and how we live, play a great role in a healthy or unhealthy lifestyle and also in the development of today’s diseases. Various Environmental factors play a part including air pollution, diet and hygiene. However In this article I will be concentrating more on diet. Tip: For a quick read, focus on points in bold. However I recommend reading in full detail. This article will include many tips to have a healthy diet and site links you should visit. The typical Western diet is high in carbohydrates and fats as well as processed and modified foods. The western diet and lifestyle underlies many so-called diseases of civilization, including coronary heart disease, obesity, hypertension, type 2 diabetes, epithelial cell cancers, autoimmune disease, and osteoporosis, which are rare or virtually absent in hunter–gatherers and other non-westernised populations. It is therefore proposed that the adoption of diet and lifestyle that mimic the beneficial characteristics of the preagricultural environment is an effective strategy to reduce the risk of chronic degenerative diseases. it was the Industrial Revolution (with the widespread use of refined vegetable oils, refined cereal grains, and refined sugars) and the Modern Age (with the advent of the “junk food” industry, generalised physical inactivity, introduction of various pollutants, avoidance of sun exposure, and reduction in sleep time and quality coupled with increased chronic psychological stress) that brought about the most disruptive and maladaptive changes, which may have serious pathophysiological consequences. For instance, chronic psychological stress, environmental pollution, and smoking are associated with low-grade chronic inflammation, which is one of the main causes of insulin resistance. Furthermore, some environmental pollutants, including pesticides and various industrial chemicals, may act as endocrine disruptors (http://en.wikipedia.org/wiki/Endocrine_system) , hence being suspected of playing a causal role in hormone-dependent cancers (such as breast and prostate cancer), insulin resistance and type 2 diabetes, obesity, and CVD. Moreover, social and work pressures, as well as exposure to artificial light at atypical biologic times, induce a disruption of the normal circadian rhythm (http://en.wikipedia.org/wiki/Circadian_rhythm), which is believed to play a key role in various diseases. Perhaps even more important is the chronic vitamin D deficiency brought about by novel cultural and geographical changes in human behaviour. Hussmir’s Recommendations are at the bottom of this article as well as throughout. Human blood pH should be slightly alkaline (7.35 - 7.45). Below or above this range means symptoms and disease. A pH of 7.0 is neutral. A pH below 7.0 is acidic. A pH above 7.0 is alkaline. An acidic pH can occur from, an acid forming diet, emotional stress, toxic overload, and/or immune reactions or any process that deprives the cells of oxygen and other nutrients. The body will try to compensate for acidic pH by using alkaline minerals. If the diet does not contain enough minerals to compensate, a build-up of acids in the cells will occur. An acidic balance will: decrease the body's ability to absorb minerals and other nutrients, decrease the energy production in the cells, decrease its ability to repair damaged cells, decrease its ability to detoxify heavy metals, make tumour cells thrive, and make it more susceptible to fatigue and illness. The reason acidosis is more common in our society is mostly due to the typical Western diet, which is far too high in acid producing animal products like meat, eggs and dairy, and far too low in alkaline producing foods like fresh vegetables. Additionally, we eat acid producing processed foods like white flour and sugar and drink acid producing beverages like coffee and soft drinks. We use too many drugs, which are acid forming; and we use artificial chemical sweeteners like NutraSweet, Spoonful, Sweet 'N Low, Equal, or Aspartame, which are poison and extremely acid forming. One of the best things we can do to correct an overly acid body is to clean up the diet and lifestyle. The average potassium content (2620 mg/d) of the typical US diet is substantially lower than its sodium content (3271 mg/d), which is due to the use of table salt, a high intake of processed foods (with added salt), and the displacement of potassium-rich foods (eg, fruit and vegetables) by potassium-poor foods, such as vegetable oils, refined sugars, whole grains, and dairy products. It is believed to contribute to hypertension, stroke, kidney stones, osteoporosis, gastrointestinal tract cancers, asthma, exercise induced asthma, insomnia, air sickness, high-altitude sickness, and Meniere’s syndrome. In a finding that challenges official advice, researchers have shown that fruit and vegetables contain up to 40 per cent more nutrients if they are grown without chemical fertilisers and pesticides. Hussmir recommends you look at Abel & Cole: Organic food delivery. (http://www.abelandcole.co.uk/) We've personally tried it, they reasonably priced and we also think organic food tastes better. The findings come from Prof Carlo Leifert, an expert in organic food whose four year Newcastle University study is funded by the European Union and food companies. He said the health benefits were so striking that moving to organic food was the equivalent of eating an extra portion of fruit and vegetables every day. "If you have just 20 per cent more antioxidants in every portion of vegetables, then it's simply a question of maths - eating four portion of organic fruit and vegetables is the equivalent to eating five portions of traditional fruit and vegetables," he said. They found that levels of antioxidants in milk from organic cattle were between 50 and 80 per cent higher than conventional milk. Organic wheat, tomatoes, potatoes, cabbage, onions and lettuce had between 20 and 40 per cent more nutrients. Genetically engineered foods saturate our diet today. In the US alone, over 80% of all processed foods contain them. Others include grains like rice, corn and wheat; legumes like soybeans and soy products; vegetable oils, soft drinks; salad dressings; vegetables and fruits; dairy products including eggs; meat, chicken, and other animal products; and even infant formula plus a vast array of hidden additives and ingredients in processed foods (like in tomato sauce, ice cream, margarine and peanut butter). Consumers don’t know what they’re eating because labelling is prohibited, yet the danger is clear. Independently conducted studies show the more of these foods we eat, the greater the potential harm to our health. Dr Michael Antoniou of King’s College London School of Medicine in the UK, uses genetic engineering for medical applications but warns against its use in developing crops for human food and animal feed. GM crops enter Britain mainly as animal feed. There is no commercial growing, but there have been experimental trials of GM potatoes and wheat in recent years. Large quantities of GM soya and maize are imported into Europe, including Britain, as animal feed. Meat and dairy products fed on GM animal feed are not labelled as GM-fed in British supermarkets. The EU has also decided to allow GM feed to include trace levels of crops which have no safety approval in Europe. Campaign group GM Freeze has published a list of where to buy non-GM-fed meat, milk and eggs. Food and Water Watch Europe has also published campaign information. Waitrose continues to require non-GM feed for poultry, eggs and lamb. In April 2013, Tesco, the Co-Op and Marks and Spencer announced they will no longer require poultry to be fed on GM-free feed, following similar decisions by Morrisons (March 2012) and Asda (September 2010). Sainsbury is keeping some product lines fed on non-GM soya, but is dropping others. There is a danger that suppliers will no longer segregate GM and non-GM soya in shipments to Britain if the major retailers do not demand it and easily available sources of non-GM meat and dairy products will be lost. However, organic and pasture-fed meat and dairy products will remain GM-free fed. Acrylamide is a chemical produced naturally in food as a result of cooking starch rich food at high temperatures (above 120 degrees Celsius) , such as when baking or frying. It is also likely to be produced by grilling and roasting food. Research indicates that acrylamide does not occur in foods processed by boiling or microwaving. It has been found in a wide range of home cooked and processed foods including potato crisps, chips, bread, crisp breads and coffee. Acrylamide caused cancer in animals in studies where animals were exposed to acrylamide at very high doses. In 2010, the Joint Food and Agriculture Organization/World Health Organization Expert Committee on Food Additives (JECFA) concluded that acrylamide is a human health concern, and suggested additional long-term studies. The substance, acrylamide, has been linked to several types of cancer including bowel, bladder and kidney, and is known to cause infertility and loss of muscle control. Although acrylamide has caused nerve damage in people who have been exposed to very high levels as a result of occupational and accidental exposure through industrial use, it is less clear what the risks are from the acrylamide found in food. Acrylamide is considered to be a genotoxic carcinogen because it has the potential to cause cancer by interacting with the genetic material (DNA) in cells. Based on independent expert scientific advice, the Agency believes that exposure to such chemicals should be as low as reasonably practicable (ALARP). The Agency does not advise people to stop eating any of these foods, but you should follow Department of Health advice from the NHS Choices website on eating a healthy, balanced diet. We also recommend that, when making chips at home, they are cooked to a light golden colour. Bread should be toasted to the lightest colour acceptable. However, manufacturers' instructions for frying or oven-heating foods, such as chips, should be followed carefully. Mediterranean cuisine varies by region, but is largely based on vegetables, fruits, beans, whole grains, olive oil and fish. 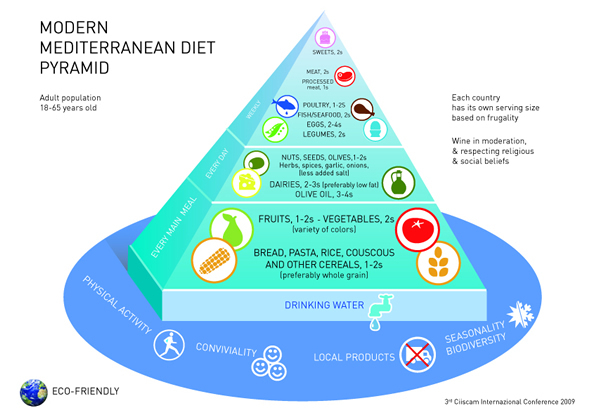 The Mediterranean diet has been associated with a better quality of life and good health, including a healthier heart, a longer lifespan and good weight management. A 2013 study found that people on a Mediterranean diet had a 30% lower risk of heart disease and stroke. The diet also recognises the importance of being physically active and enjoying meals with family and friends. 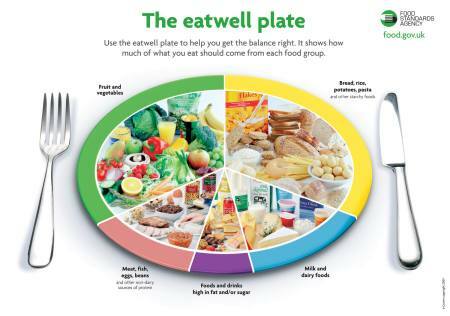 The diet is similar to the government's healthy eating advice set out in the eatwell plate, which shows the foods needed for a balanced, healthy diet. The meat we eat today is vastly different from the meat our ancestors ate. Back in the day, animals roamed free and ate grass, insects or whatever was natural to them. the meat derived from a cow today was born and raised in a factory, fed grain-based feed, then pumped full of antibiotics and hormones to make it grow faster. The American Institute for Cancer Research recommends individuals limit red meat consumption because it contains compounds that might promote cancer. In addition, studies suggest that individuals who consume the most white meat, like chicken and turkey, live longer than those who consume the most red meat. It appears that a significant percentage of those who consume the most red meat die due to cancer or heart disease, which are both associated with red meat consumption. People should limit the amount of red meat they eat to the equivalent of three slices of ham, one lamb chop or two slices of roast beef a day, Government advisors have warned. The Scientific Advisory Committee on Nutrition (SACN), has published recommendations designed to cut the risk of bowel cancer. Evidence suggests red and processed meat increases the risk and that people who eat 90g or more a day should cut back. Cutting down to the UK average of 70g a day can help reduce the risk, the study from SACN said. 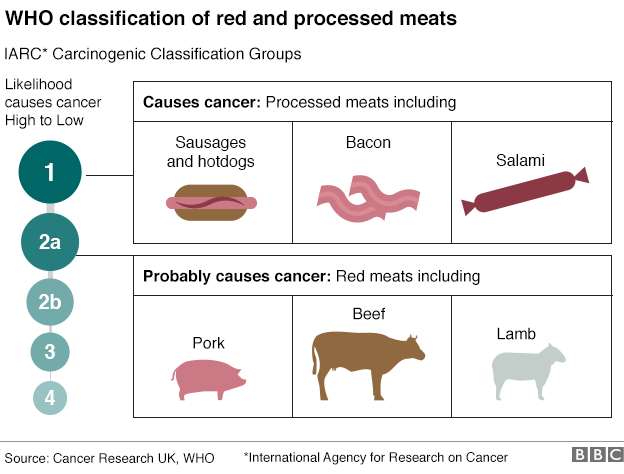 Red meat contains substances that have been linked to bowel cancer. One compound in particular, haem, which gives red meat its colour, has been shown to damage the lining of the colon in some studies. And it says people should avoid processed meats altogether because of the even higher risk of bowel cancer. Common compounds in the "Western" diet seem to promote Alzheimer's-linked brain deposits and memory problems in mice, researchers say. Scientists found that when they added the compounds -- called advanced glycation end products (AGEs) -- to the lifelong diets of laboratory mice, the animals developed greater amounts of beta-amyloid in the brain. Beta-amyloid is the protein that makes up the brain "plaques" seen in people with Alzheimer's disease. What's more, mice fed these compounds developed more problems with movement and memory as they aged compared to mice that spent their lives dining on chow that produced low levels of these chemicals. AGEs are naturally present in small amounts in the human body, said senior researcher Dr. Helen Vlassara, of the Mount Sinai School of Medicine in New York City. But you also ingest the compounds through food -- particularly animal products prepared at a high heat. That includes fried, grilled or broiled meats, and dairy products that are pasteurised or sterilised. "We ingest these toxins in huge amounts over a lifetime," Vlassara said. AGEs can promote chronic inflammation in the body. And that type of persistent, low-level inflammation is implicated in many disease processes, including Alzheimer's. However, Hussmir recommends you do not move away from pasteurised or sterilised dairy products as this process is used to kill bacteria and pathogens. Instead follow the tips below in how to remove toxins and 'detoxify' your body. Just like your home, your body needs some cleaning up, especially after the winter. You've spent months absorbing toxins and pollutants through your skin, the air you breathe and through the foods you eat. Get rid of gluten and Processed Foods: Processed foods have been stripped of nutrients, leaving you with mostly artificial stuff left to eat. Most of these, including gluten (the protein of wheat that's also present in a lot of processed foods), cause a sluggish metabolism and the accumulation of toxins in the body. Try to have green grapes every day. Grapes have a lot of detoxifying qualities, and consuming them at this time of the year can help you draw out toxins from your organs and dump them into your intestines for elimination. Grapes are rich in fiber, so drinking a lot of water is a must to help in the detox process. Take a daily ‘detox tea’. Detox tea is made from with a combination of herbs and spices, which have been used for centuries in India. The actual ingredients can be cinnamon, liquorice, ginger, dandelion, fennel, anise, juniper berries, burdock root, coriander, mint, cardamom, parsley, sage, cloves, turmeric root and black pepper. Also, detox tea is caffeine free and contains a laxative. Stretch. Stretching will kick your detox efforts up a notch. As you stretch, you allow oxygenated blood get to all the nooks and crannies of your body, carrying toxins out with it. Exercises like yoga and tai chi are great activities to do in the springtime. Take deep breaths. Most of us underestimate the cleansing power of breath, and most of us forget to breathe deeply and consciously. First thing in the morning, take a few minutes to breathe deeply 8-10 times. It will be invigorating and cleansing. Drink water, lemon, cayenne and vinegar. A large glass of filtered water with the juice of ½ a lemon, ½ teaspoon of apple cider vinegar and a pinch of cayenne pepper before breakfast will increase your energy and metabolism and will clear mucus and toxins from your vital organs. Drink it every day as long as you like. Sweat it out. Your skin is your largest organ and one of the primary organs of elimination. Saunas, baths and steams rooms are great detoxification aids, as they'll help you sweat, thus helping you eliminate up to 20% of toxins and debris from your body through your skin. Stay away from processed meat and cut back on red meat. Limiting red meat to no more than a few times a month and Eating fish and poultry at least twice a week. 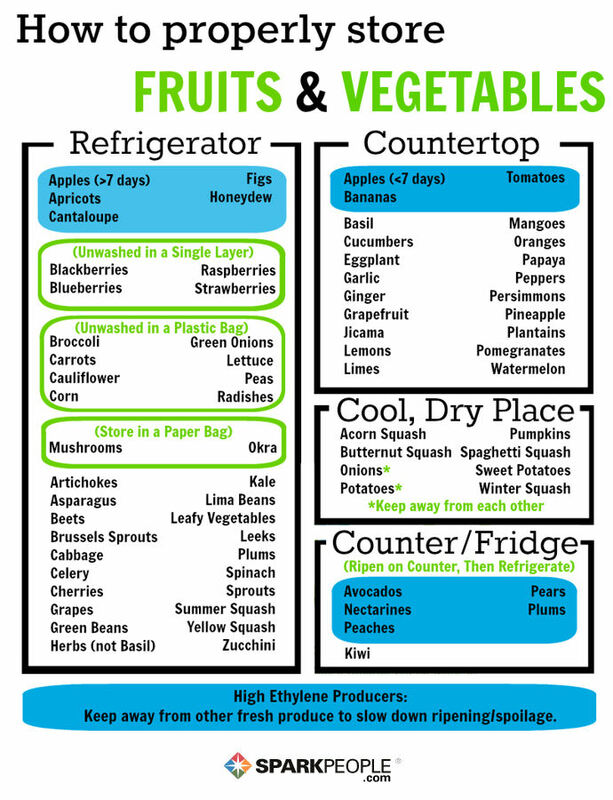 Adopt a more Alkaline diet. Adopt a more Mediterranean Diet and a balanced, healthy diet. Cut back on starch rich foods cooked at high temperatures. Such as chips, coffee, bread, biscuits and crisps. Skip the diet soda and artificial sweeteners. Prolonged exposure to aspartame, a neurotoxic chemical additive in these products, can lead to nerve cell damage, dizziness, and headaches. Besides, anything that gives rats brain tumours is worth avoiding in my book. Opt for organic chicken. The Institute for Agriculture and Trade Policy discovered traces of arsenic in non-organic chickens. Exposure to this dangerous chemical can lead to cancer, diabetes and heart disease. Another study also found numerous antibiotic-resistant bacteria in conventional poultry. Avoid manufactured snacks. Hydrogenated oils are used to lengthen the shelf life of products like crackers and cookies, but they are also associated with diabetes and heart disease. Another reason to stay away from the middle aisles: snack foods are generally loaded with salt, corn syrup and other unhealthy ingredients. Stay away from artificially-coloured foods Mice and rats exposed to blue 1 and 2, red 3 and yellow 6 suffered from brain, adrenal gland, thyroid, and kidney tumors. Always try to buy organic produce in general. Lingering pesticides can lead to nervous and reproductive system damage, not to mention cancer. When cooking with non-stick cookware, use Hard Anodized Cookware instead of Teflon coated Non-Stick cookware. Teflon coated cookware in not recommended for use above 200 degrees Celsius and once they are scratched they must be thrown out this is because toxic particles PTFE or PFOA can be transferred to food and can lead to potentially dangerous health risks. Stainless steel cookware is sturdy but it’s not non-stick and can be tough to clean also it has poor heat transfer and distribution. However Hard Anodized cookware is aluminium cookware that has been hardened with the strength of steel cookware and has a layer of oxidization that gives it the non-stick properties of Teflon. Hard Anodized cookware has been shown to be extremely durable, resists scratches and is nonporous, meaning it won’t absorb smells from the food that has been cooked in it. It's however also not a good idea either to use raw aluminum cookware, it does have excellent thermal conductivity, is lightweight and affordable but like copper, raw aluminum is highly reactive to alkaline or acidic foods. It's also very soft and tends to warp in high heat and scratch easily, which leads to health concerns with long term use. For the average home cook, who uses their non-stick cookware regularly at medium temperature or lower, does not abuse or scratch it and uses wooden utensils, Teflon coated cookware is generally safe. As long as you use wooden utensils that prevent scratching the non-stick coating, do not put it in the oven above 350 ° Fahrenheit and hand wash as directed, you should get several years of risk free use. Get back those leached nutrients by using the water in a soup, sauce or stew. Hussmir recommends you buy Birds Eye’s vegetable steam bags which microwave in 2-3 minutes (found in supermarkets) or use your own steam bags (found on Amazon, see below). I hope this article has given you important life tips, information and things to be aware of when it comes to diet, since your health should be a major priority. Thank you for reading. Please like, comment and share. Thank you.